GET DAILY WEATHER REPORTS FROM.....MARS! If you do you will love this - daily weather reports from the planet Mars. SKY GUY VIEWING ALERT 2/25 - 3/2 2019: PLANETS APLENTY! Get out this week after sunset and before sunrise to see all 5 visible planets in the sky. 30 minutes after sunset (Northern Hemisphere primarily) the Winged Messenger, Mercury is an easy sight in the West if you have a clear view of the horizon. Binoculars really help in the search but the elusive planet is a bright yellow-golden color and is the brightest object in the western sky about one fist width at arm's length. Mars is visible about half way up in the sky from the western horizon and is a shadow of it glorious appearance in 2018. 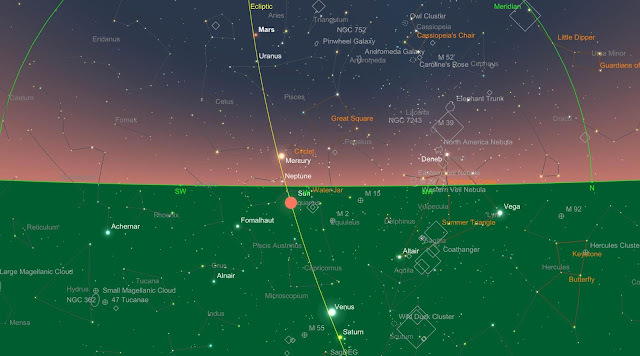 Moving on to the morning sky, the Moon will pass Jupiter, Venus and Saturn this week in the pre-dawn sky in the southeast (Northern and Southern Hemispheres). When the Moon becomes a crescent the Milky Way will be easy to see if you are in a dark sky location. Seeing the Moon move relative to the planets each morning emphasizes its motion in the sky. 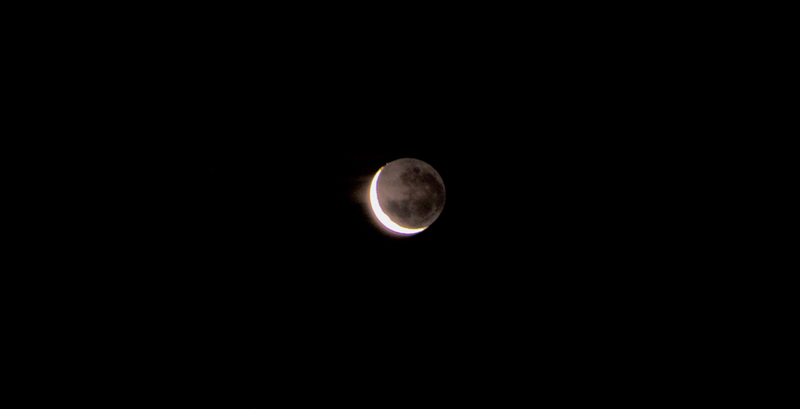 Be on the lookout for Earthshine on the slim crescent Moon. It is the reflection of sunlight off our planet's clouds back into space to illuminate the darkened portion of the Moon - a VERY beautiful sight. The picture below taken at sea aboard cruise ship Azamara Pursuit shows what this will look like in a dark sky. The Moon is literally upside down for Northern Hemisphere observers as this was taken at 47 degrees South latitude. Try and take advantage of this planetary lineup this week. Visualize our solar system with its visible planets and our Moon. The planets are orbiting the Sun as are we while our Moon orbits the Earth. The Moon rush is on. 2019 is going to be the year that humanity starts heading back to the Moon. China's Chang'e 4 mission on the far side is underway and continuing its exploration. 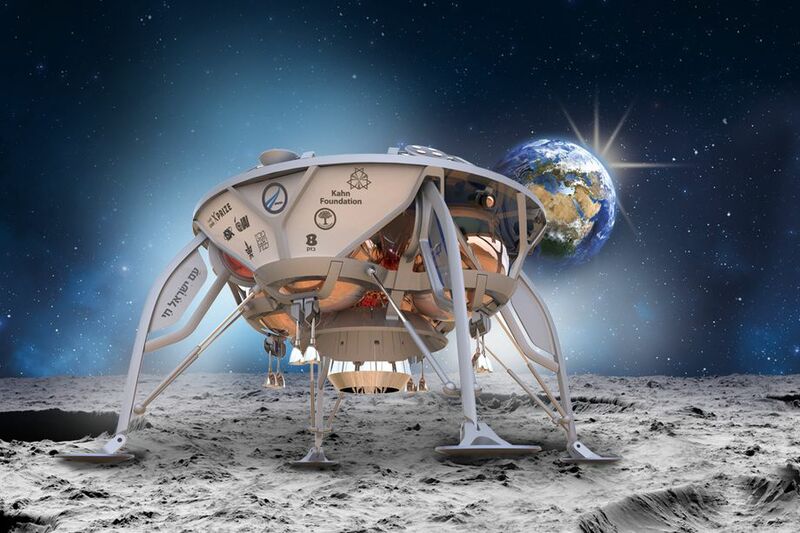 SpaceIL, a private Israeli company, has their lunar lander enroute to an April landing on the Moon if all goes well. NASA also just announced, "12 science and technology demonstration payloads to fly to the Moon as early as the end of this year, dependent upon the availability of commercial landers. These selections represent an early step toward the agency’s long-term scientific study and human exploration of the Moon and, later, Mars." And last but certainly not least is NASA's announcement that, "NASA Scientists Show How Ingredients for Water Could Be Made on Surface of Moon, a 'Chemical Factory." If water can be "made" on the Moon, this is a huge resource multiplier for putting humans on the Moon in permanent colonies. Oxygen to breathe, water for all its normal uses, ROCKET FUEL from oxygen and hydrogen would be possible. In addition, the technologies developed to do all of this would be exportable to our missions to the asteroid belt and Mars. THE MOON RUSH IS ON! This illustration shows the structure of a new synthetic DNA molecule, dubbed hachimoji DNA, which uses the four informational ingredients of regular DNA (green, red, blue, yellow) in addition to four new ones (cyan, pink, purple, orange). Reading like something out of a science fiction novel, scientists have created a new synthetic DNA molecule. The discovery forces astrobiologists to consider what might constitute life beyond what we know it to be here on Earth. The research shows that there are other means to create a "double-helix structure that can store and transfer information". 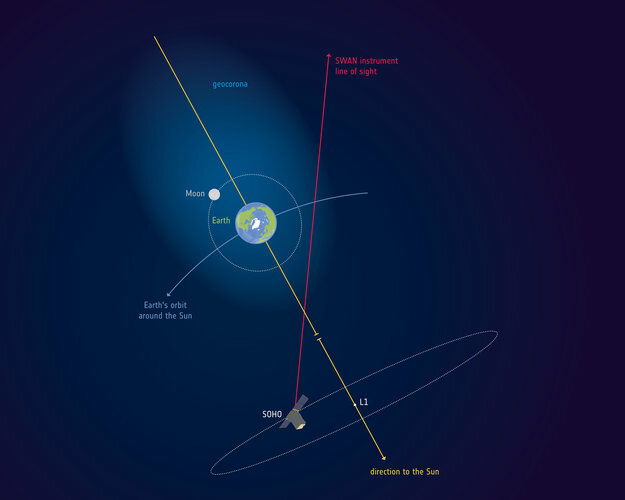 Here's some big news about our home planet - our atmosphere stretches way out beyond the Moon's orbit! What also makes this a very interesting story is that the discovery was made reviewing observations made TWO decades ago by a Sun observing spacecraft! Apollo 16 astronauts Shepard and Mitchell photographed this region of the Earth's atmosphere called the Geocorona using the first telescope on the Moon. The picture was taken in ultraviolet light. 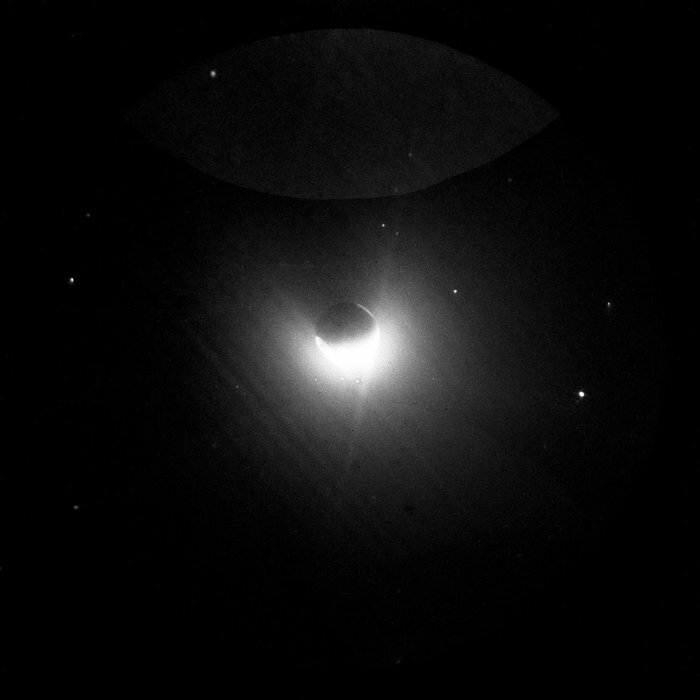 The Earth and its hydrogen envelope, or geocorona, as seen from the Moon. This ultraviolet picture was taken in 1972 with a camera operated by Apollo 16 astronauts on the Moon. This really shows the power of going back over archived data to make new discoveries. 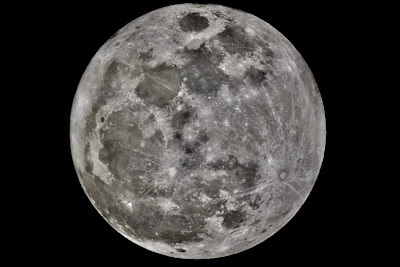 The biggest Full Moon of 2019 will occur on 2/18-19 2019. This will be the closest Full Moon to Earth for 2019 and it will also be a Supermoon. What this adds up to is a beautiful and bright Full Snow Moon on the nights of February 18 and 19. The Full Snow Moon will be brighter than usual and its larger size in the sky is harder to detect for most. The Full Snow Moon is so named as February finds much of North America covered with snow hence the name from our ancestors. Tides will also be larger due to the closeness of the Full Snow Moon. If you have snow on the ground the Full Snow Moon will REALLY light up your landscape! Here's an article on the latest results from NASA on astronaut health during long term spaceflight. No show stoppers for a 2 1/2 year Mars mission. A follow up to yesterday's (2/14/19) blog about Opportunity. 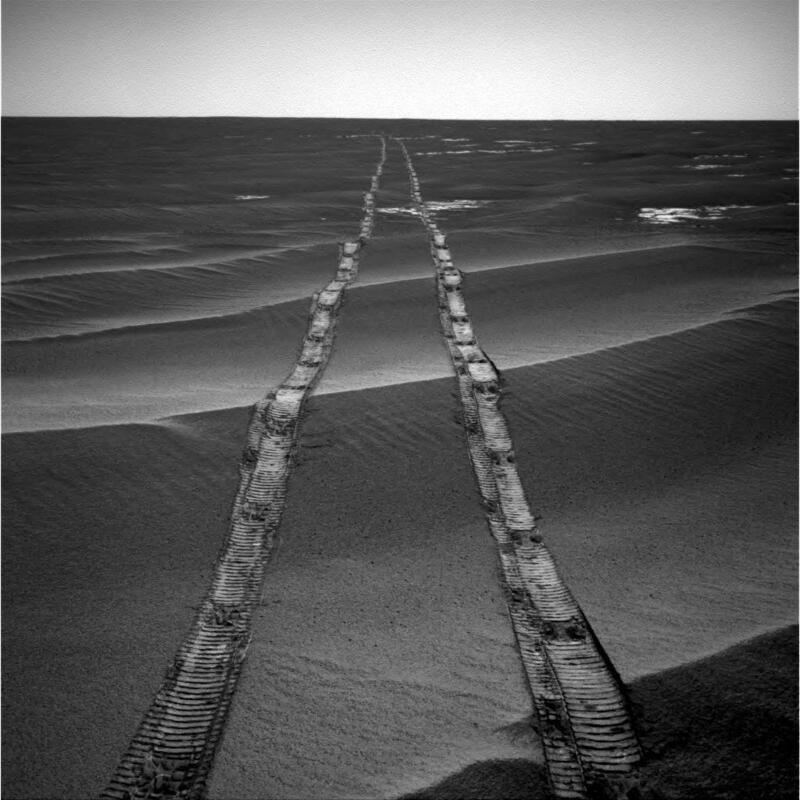 I chose this pic because it is a fitting pictorial to the road travelled by Oppy during her almost 15 years making 28 MILES of tracks in the Martian soil. 6 things you should know about Opportunity. NASA made it official - Mars Rover Opportunity is dead. The Agency made one last attempt to make contact and there was no response. So, for a vehicle that was designed for 90 days operation in the harsh environment of Mars finishes an almost 15 YEAR run! In the end Mars' great dust storm of 2018 robbed Oppy of solar power and the Rover joined its twin, Spirit, in becoming a permanent part of the martian landscape. But oh what a marvelous 28 miles of roving and discovery did Oppy provide us. Big finding from New Horizons fly by of Ultima Thule - SURPRISE!!! It's flat and not spherical. 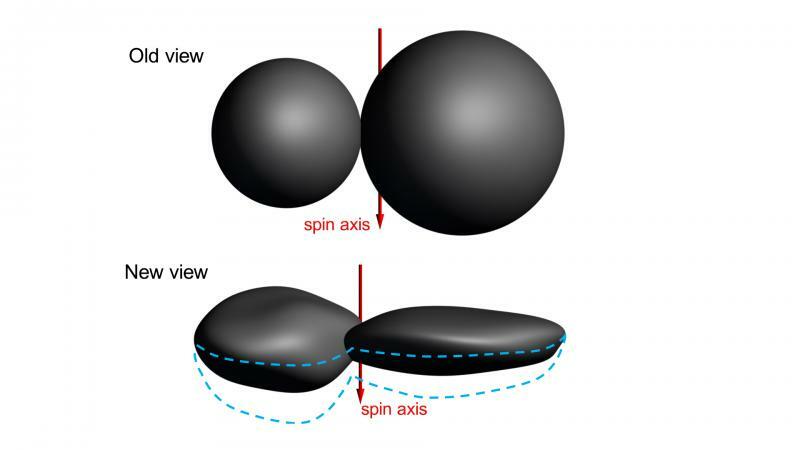 Scientists' understanding of Ultima Thule has changed as they review additional data. The "old view" in this illustration is based on images taken within a day of New Horizons' closest approach to the Kuiper Belt object on Jan. 1, 2019, suggesting that both of "Ultima" (the larger section, or lobe) and "Thule" (the smaller) were nearly perfect spheres just barely touching each other. 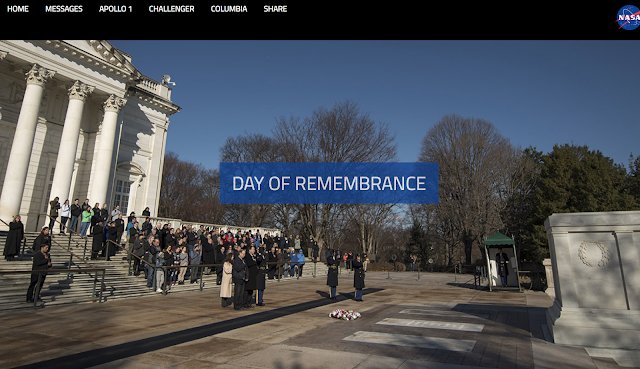 NASA held its annual "Day Of Remembrance" for astronauts killed in Apollo 1, Challenger and Columbia. There is risk in human spaceflight and we will lose more heroes in our quest for the stars. But we must never stop our quest to explore the realm of space. MUST SEE FOR JUPITER LOVERS! It is a LARGE coverage video just like Jupiter! Take a few minutes to read this great Washington Post article about the top astronomer at Harvard University who thinks it is a distinct possibility that an alien space ship flew through our solar system in the form of 'Oumuamua' which I blogged about previously. My position is that ANYTHING is possible in this Universe we live in. BUT you have to have peer reviewed data to back up your theories and claims. Professor Loeb has published a paper on the subject, and like Carl Sagan before him, has run afoul of his peers due to the publicity and controversial nature of his claim. Good for him and us......we need scientists of his caliber who are not afraid to say what they think based upon their interpretation of data. 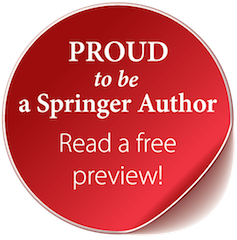 Good for him and us that the peer review process and the scientific process is at work to chew upon his work and move forward to gather more data. Here's to more data and to another Oumuamua passing through! The Yutu 2 rover rolls away from the Chang'e 4 lander shortly after the mission's historic Jan. 3 touchdown on the moon's far side. China's Chang'e 4 lander and rover Yutu 2, survived their first lunar night and made a major discovery - the far side of the Moon is colder than the near side. The temp was recorded as -310 degrees F! For comparison the temp on the near side is about -280 degrees F. It is thought that perhaps the lunar soil differs between the two sides that would account for the temp difference. Here is the latest on the Event Horizon Telescope Project that is trying to image the event horizon around our Milky Way Galaxy's supermassive black hole. Here’s what astronomers see when they look in the direction of the galaxy’s center with NASA’s Chandra X-Ray Observatory. 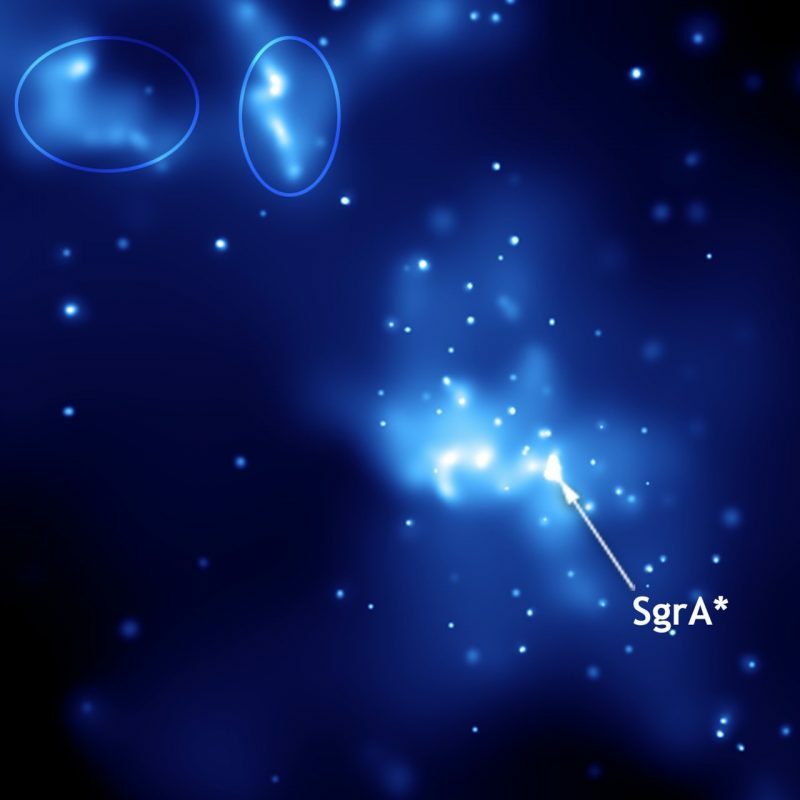 Sagittarius A* is in this image, but, so far, hot gas has obscured our view of the supermassive black hole’s event horizon. Ellipses indicate light echoes. Image via ESO.